This spacious holiday apartment is located in Sumpetar. The accommodation is spread over two floors and has three bedrooms. This spacious holiday apartment is located in Sumpetar. The accommodation is spread over two floors and has three bedrooms. Enjoy your morning coffee on the large terrace with a beautiful view of the sea. 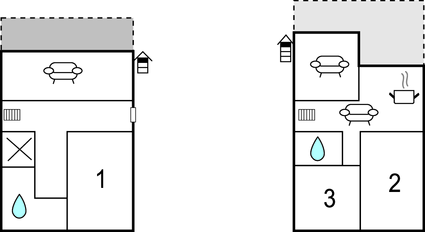 The lowest ceiling height on the upper floor is 170 cm. Sumpetar is known for its beautiful beaches and a long tradition of shipbuilding. You can also visit the town of Split with many cultural and historical monuments, where you can take a walk along the famous promenade. Enjoy traditional Dalmatian specialties in local restaurants. This modern apartment is made from brick or stone and was built in 1974. The agent has rated it as a three star property so it is a well-kept apartment, equipped with standard furniture. It is also good value for money. 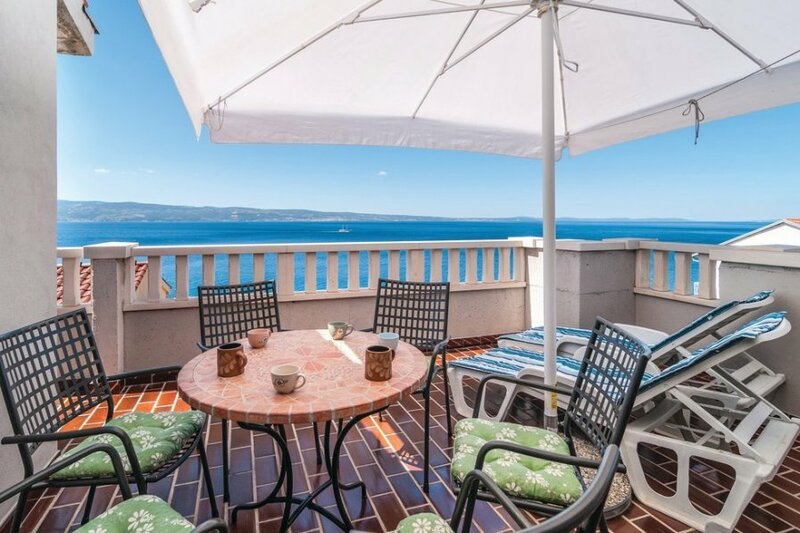 This apartment has sea view and is located in Jesenice, only 18km from Split. It is set in a very convenient location, just 150 metres away from a stone and pebble beach. There's also a restaurant only 350 metres away. You can also park in the garage on-site at no extra charge. The apartment is adequately equipped: it has a refrigerator. It also has a shared barbecue.